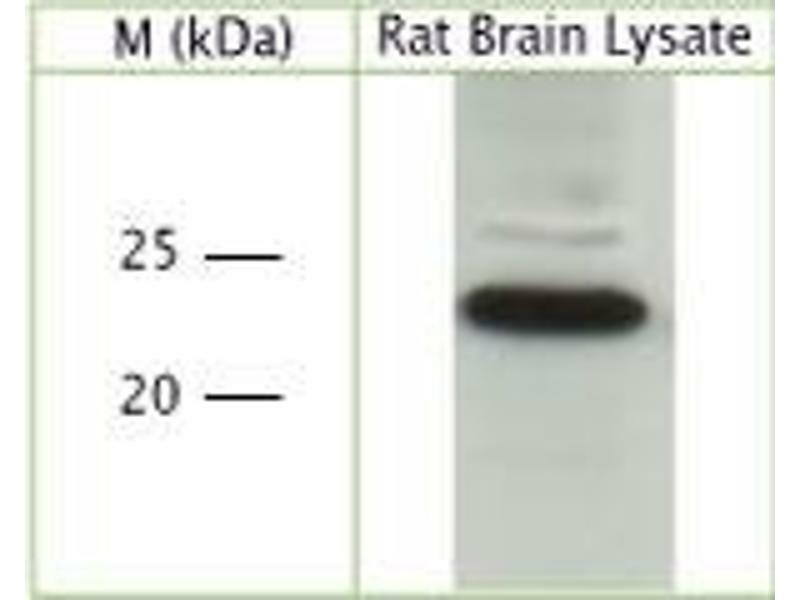 WB on rat brain lysate using Rabbit antibody to pan RhO (A, B, C, F, Q), RAC (1, 2, 3) and CDC42: whole serum (ABIN350720) at 1 : 1000 dilution. 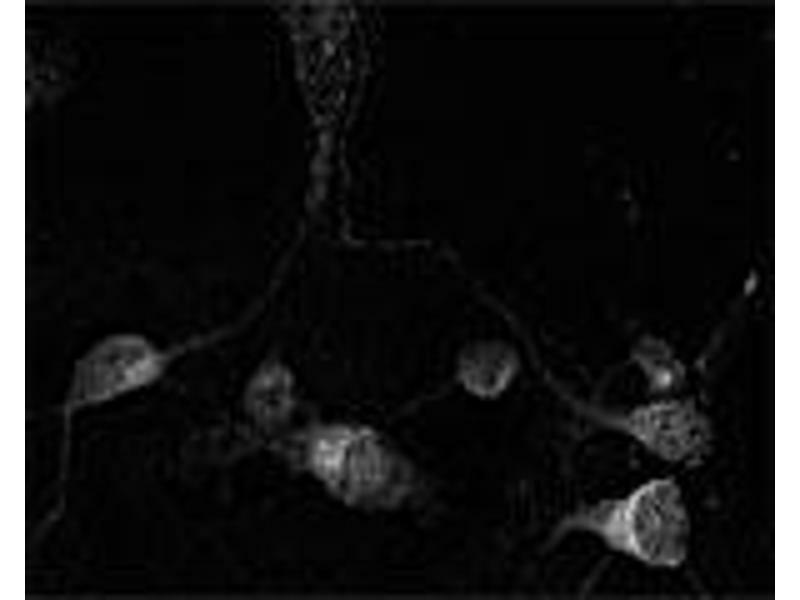 IHC on rat midbrain using Rabbit antibody to pan RhO (A, B, C, F, Q), RAC (1, 2, 3) and CDC42: whole serum (ABIN350720) at 1 : 1000 dilution. Pre-absorption of the antibody with the immunising peptide completely abolishes the immunostaining (not shown). 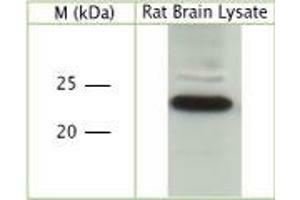 IF on 1 day- old mouse cortical cell culture using Rabbit antibody to pan RhO (A, B, C, F, Q), RAC (1, 2, 3) and CDC42: whole serum (ABIN350720) at 1: 2000 dilution. DAPI counter stained. 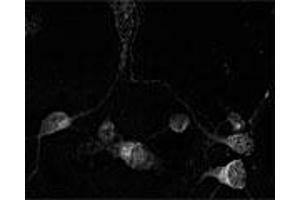 IF on 1 day- old mouse cortical cell culture using Rabbit antibody to pan RhO, RAC, CDC42 at 1: 2000 dilution. DAPI counter stained. Specificity Specific for RhO family. Immunogen A synthetic peptide from human Rho-related GTP-binding proteins (RhOA, RhOB, RhOC, RhOF, RhOQ) and RAC1, RAC2, RAC3 and CDC42 conjugated to an immunogenic carrier protein was used as the antigen. The peptide is homologous in many other species. Background The protein encoded by this gene is a small GTPase of the Rho-subfamily, which regulates signaling pathways that control diverse cellular functions including cell morphology, migration, endocytosis and cell cycle progression. This protein is highly similar to Saccharomyces cerevisiae Cdc 42, and is able to complement the yeast cdc42-1 mutant. The product of oncogene Dbl was reported to specifically catalyze the dissociation of GDP from this protein. This protein could regulate actin polymerization through its direct binding to Neural Wiskott-Aldrich syndrome protein (N-WASP), which subsequently activates Arp2/3 complex. Alternative splicing of this gene results in multiple transcript variants. Also known as: Rho-related GTP-binding protein RhOA, RhOB, RhOC, RhOF, RhOQ, RAC1, RAC2, RAC3, CDC42.